In most of the America, it is incredibly hot right now. Those without air may notice their new kitten panting or refusing to move from cool areas such as the bathroom or basements. And those who allow their new kitten to roam outside may have noticed the fur ball staying in shaded areas or even in crawl spaces. If you’re hot, think about how your new kitten feels with a fur coat! When the temperatures are hot outside, like they are now, it’s important to pay attention to the behavior of your new kitten. Felines can suffer from dehydration and heat stroke. -Anxiety. 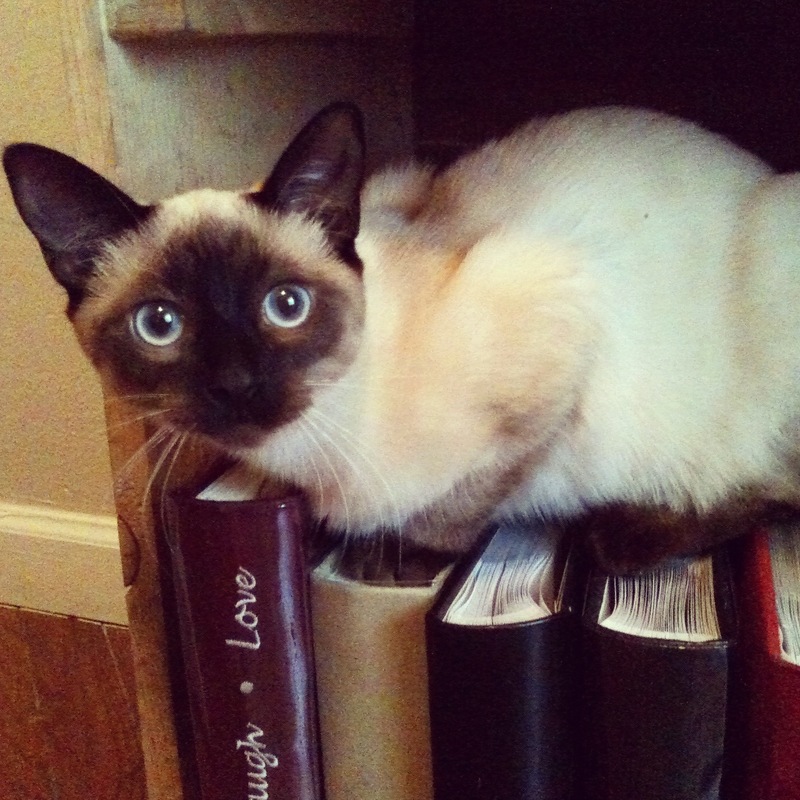 Anxious cats may pace or cannot seem to get comfortable. -Increased internal body temperature. 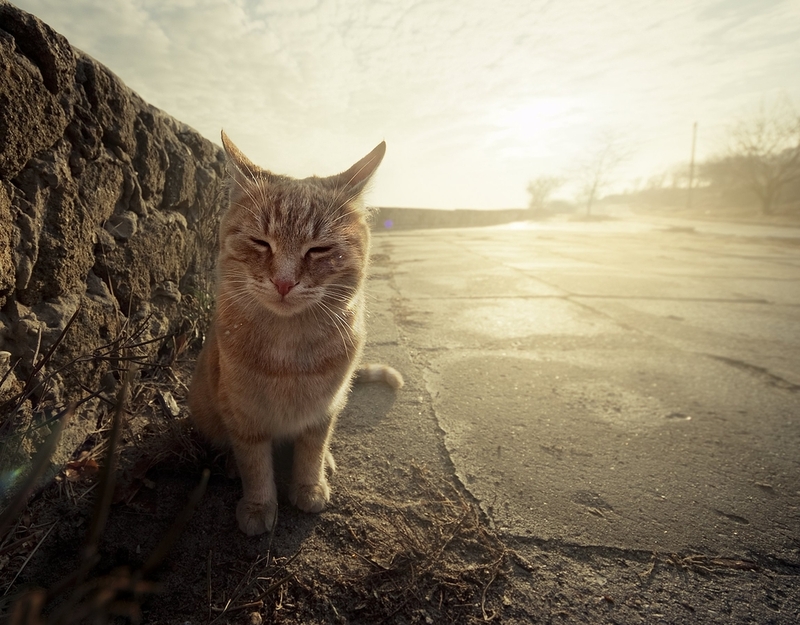 Cat’s temperature is between 100.5° and 101.5° F. Anything above 104° is a cause for worry. 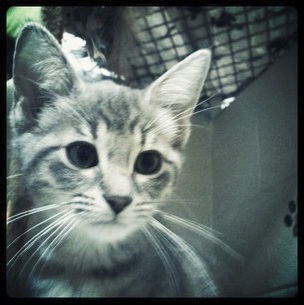 Adopting a kitten is an exciting time, but it’s also a time to make many important decisions. 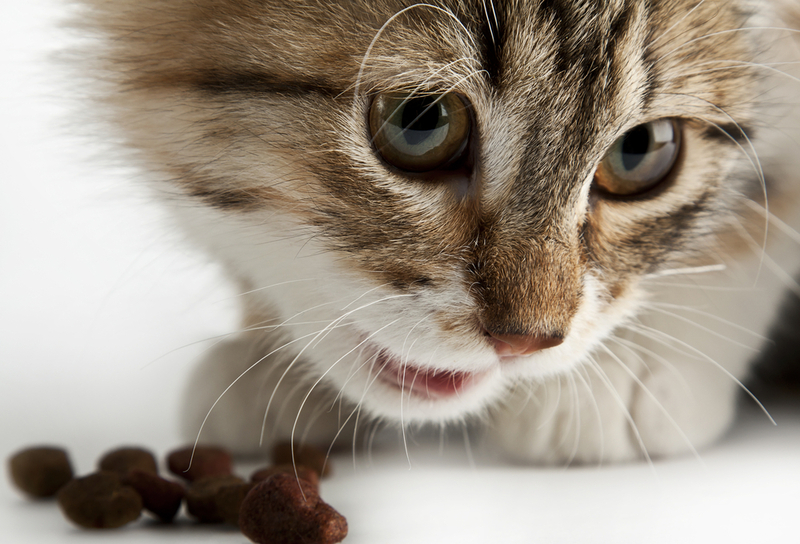 We recently wrote a blog about how to determine if your new kitten will eat wet or dry food. 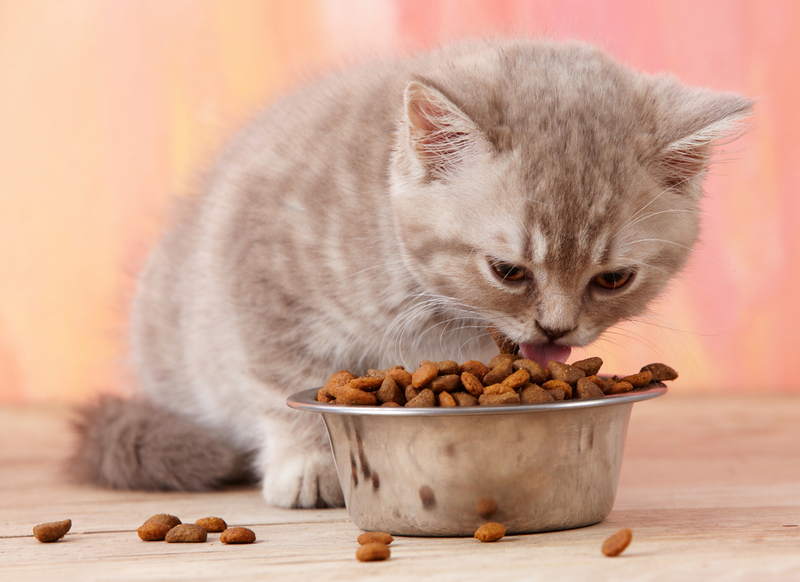 Once you’ve determined what type of food your new kitten will eat, you need to determine a healthy, regularly eating schedule and decide how much you will feed your feline. 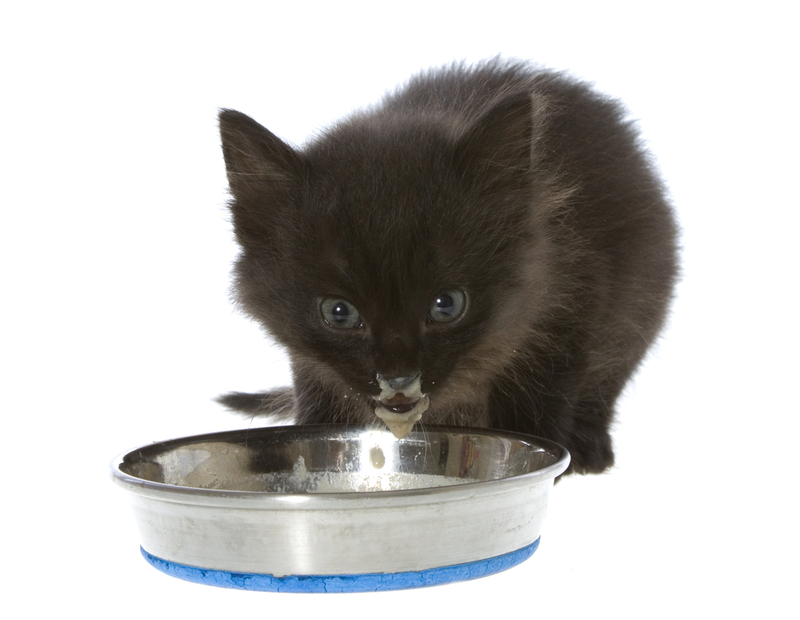 As with humans, feeding your new kitten too much can lead to a variety of health issues. 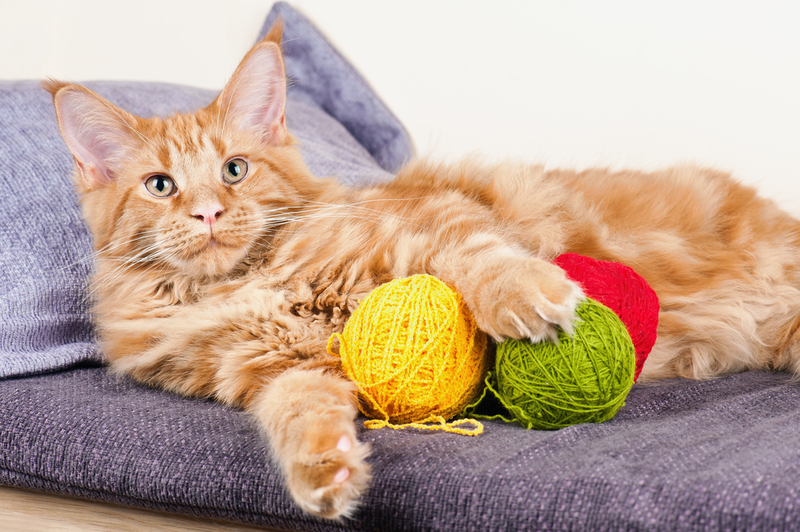 Overweight felines generally live shorter lives and experience health problems such as cardiovascular disease, diabetes, arthritis and cystitis. 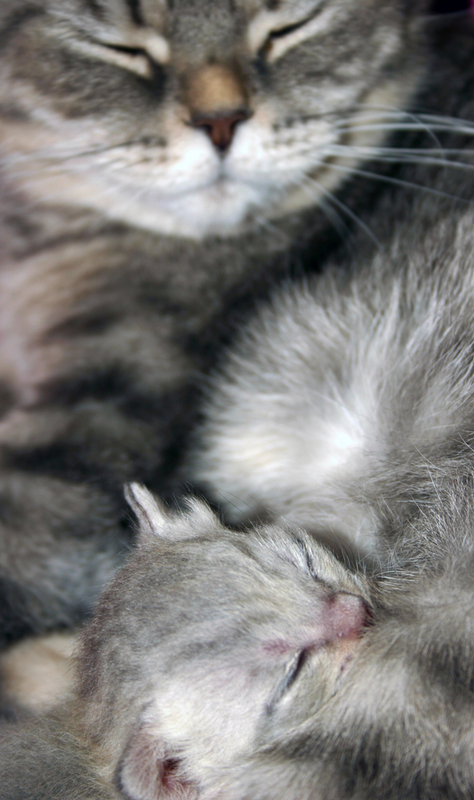 Your new kitten’s feeding schedule should adjust as she grows older. 6 weeks old: Feed your new kitten at least four small meals each day. After you’ve adopted a new kitten, it’s a good idea to continue feeding her the same food that the shelter and store had been giving her. 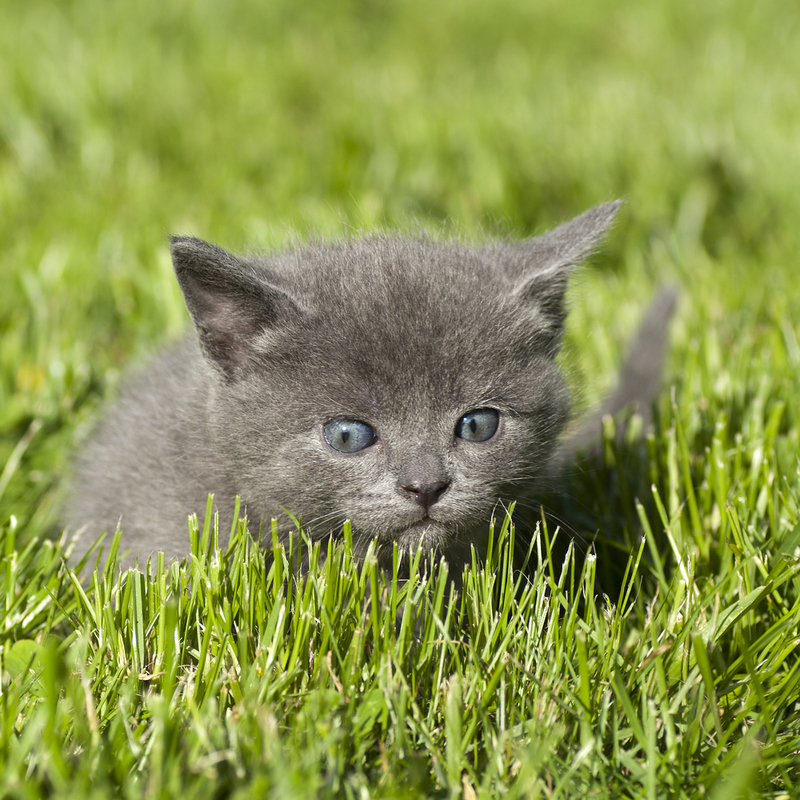 However, the older your new kitten gets – the more you need to consider what adult food she will eat. There are numerous brands and flavors to select from. 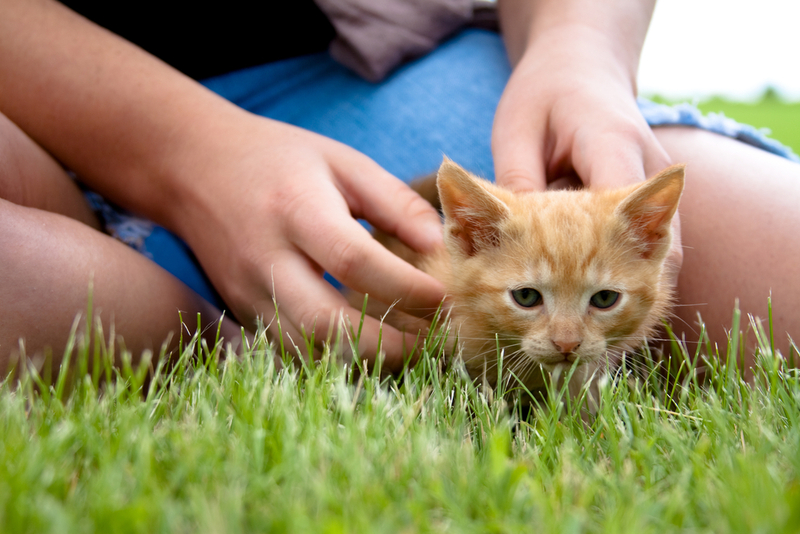 Some cats are more picky than others, so be sure to be patient with your new kitten when finalizing your decision. Be aware that cheaper foods tend to have low-quality ingredients in them. First you need to decide if you will feed your new kitten wet food, dry food or a combination of the two. -It tends to be less expensive than wet food. Because I already had a cat in my house, I thought that I was pretty well prepared for a new kitten. I quickly learned that the needs of my 13-year-old feline friend are drastically different than that of the three month old kitten I was bringing home. Already having a cat helped this a bit; however, there were a few items I needed specifically for the new kitten. My new kitten friend, Dixie, needed different food, her own eating dish and tons of toys. Kittens require food designed specifically for them. 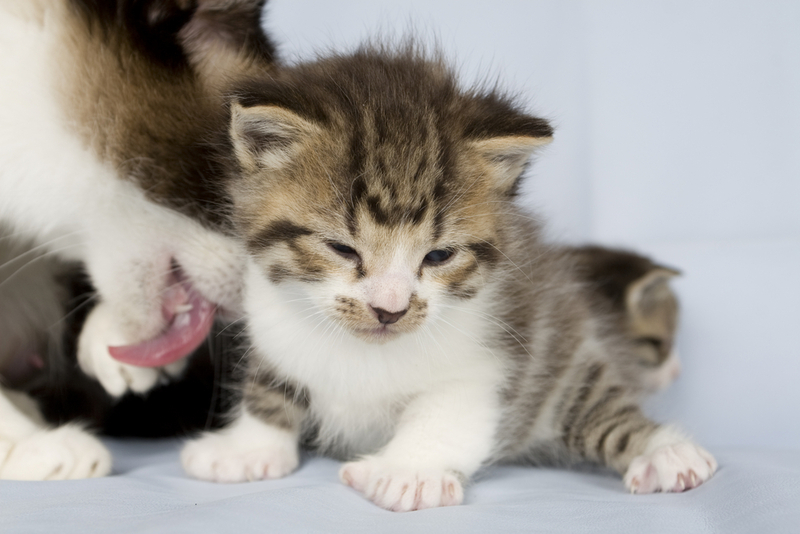 Kitten food is high in protein, helping with the kitten’s growth. Luckily, the shelter that I adopted my new kitten from gave me a ziplock bag of dry food and some cans of wet food.